Buying or Selling a home is a major decision. Choosing the right real estate agent can be a bit unnerving. When you choose Jack Gifford to represent you, you will experience the honesty, integrity, trust, and professionalism of his real estate team. You will feel secure! Jack Gifford and The Gifford Group with Re/Max Fine Homes helps each and every client customize a well thought out plan to meet his/her special wants and needs. Our Re/Max Real Estate office centrally located in Newport Beach helps us keep a pulse of the O.C. lifestyle scene, recognize real estate market trends, which allows us to better serve those along the coast and throughout Orange County and surrounding areas. The Gifford Group specializes in Residential Real Estate Properties, Short Sales, Foreclosures, Investment Properties, Apartment Buildings and Relocation. The Gifford Group has designated specialists in each of these real estate areas. The Gifford Group also includes experts in real estate lending, short sale negotiations, escrow, title and home inspections. Should you have questions in any of these areas, our experts are happy to help you. Please refer to The Gifford Group for more information. We are your ONE STOP SHOP for everything relating to real estate. 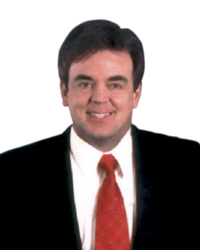 Jack Gifford has over 25 years of FULL TIME Professional Real Estate Experience. Jack specializes in negotiations, and is one of the best Real Estate agents in Orange County. He will help make buying your dream home or selling your special home a successful and rewarding experience. With a career of over 5000 presentations and skillful negotiations, Jack has the unparallelled expertise and negotiation power to get you the best possible results. Please CLICK HERE for more about Jack Gifford. - Certified Residential Specialist (CRS) is the highest professional designation awarded to Realtors in the residential sales field. Jack is a member of The National Association of Realtors, California Association of Realtors, Newport Beach Association of Realtors and CRMLS Matrix. Re/Max Real Estate is the leader in the industry. Jack Gifford is a leader in the real estate industry, and has aligned himself with the top real estate firm. "Jack Gifford is a master of negotiation. The Michael Jordan of real estate"